The Easy-Air 5 station pump with carrying handle can be adjusted to take five (5) separate simultaneous final clearance air samples. This pump has a specially designed manifold that maintains constant pressure. 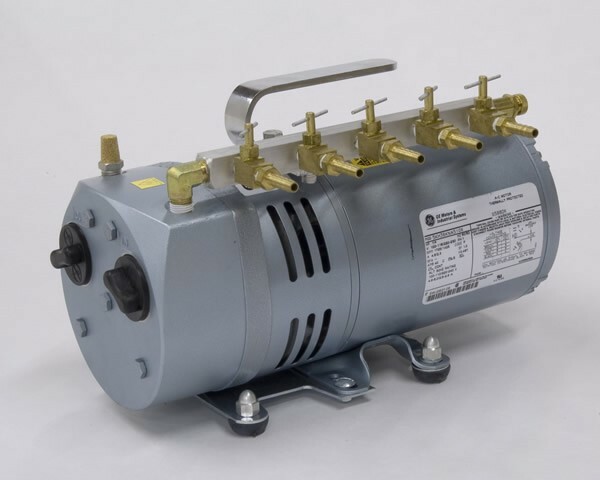 Includes 1/4 hp rotary vane pump, five-port manifold with individual control valves, pressure relief valve, carrying handle, 110-volt cord with switch, and vibration-free mount. Easy-Air can be wired for 220/230 V upon request.